– Garage Sale Stall at the Melbourne Cup Day Weekend Community Market. April: Talk on Wills & Power of Attorney by a Solicitor. March: Garage Sale Stall at the Easter Community Market. 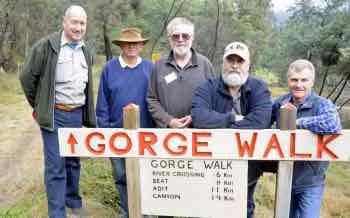 – Shed Open Day as part of Seniors Week. September: Social function at the Shed to watch the 2017 AFL Grant Final (15 attendees). March: Rotary Club Garage Sale. 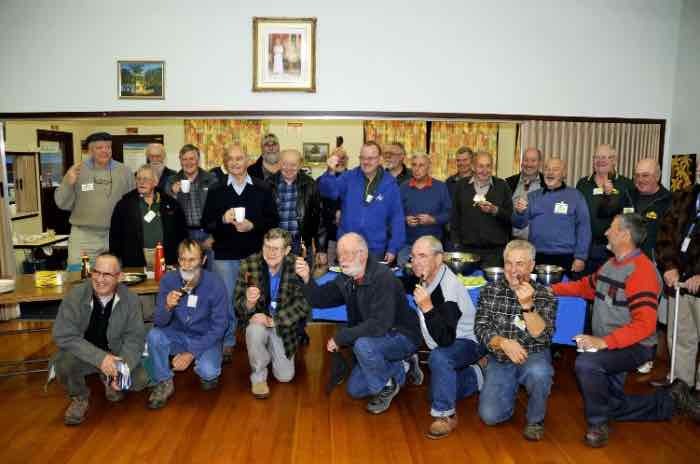 – The quarterly Ovens & Murray Shed Cluster Meeting was conducted in Mount Beauty. September: Social function at the Shed to watch the 2016 AFL Grant Final. June: Health Week — Talk on Mental Health by Russell Maher (Community Development Worker – Integrated Primary Mental Health Service). 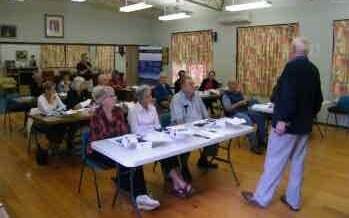 December: Mobile Phone Usage for Seniors Workshop held at the Senior Citizen Club Rooms — 33 participants. 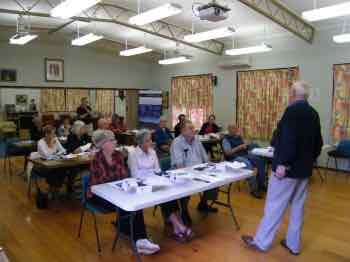 November: Spanner in the Works (health check) sessions held at the Senior Citizen Club Rooms — 40 participants. June: Health Day as part of Health Week held at the Senior Citizen Club Rooms — 36 participants including a number from Bright.